Sandy Springs Education Force presents our FREE Inaugural Children’s Book Festival in conjunction with the 5th Annual SSEF Footprints for the Future 10K/5K Road Race. Both of these events are on the morning of October 13th — RAIN or SHINE! Footprints for the Future 10K & 5K – 7:45 a.m. start. Registration is required for the race. Sign up today! 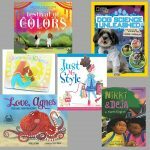 FREE Children’s Book Festival – 8:30 – 11:30 a.m. Immediately following the race, all are welcome to this FREE event! Both of these exciting events will be held on the Sandy Springs City Springs Green, 1 Galambos Way. There is free parking until 12:30 p.m. The Children’s Book Festival/Literacy Event will include a book character dress-up parade, storytelling by Mama Koku of The Wren’s Nest, arts and crafts, and presentations and question and answer sessions with four authors and two illustrators. Little Shop of Stories will be on site to sell books from featured authors and illustrators. Participants can also explore the Heritage Sandy Springs Farmers Market, which will be operating at that time. In the SSEF tradition of offering an attendance prize for the public school in Sandy Springs with the best attendance (calculated as a percentage of enrollment in that school), one school will win a prize worth $1000! 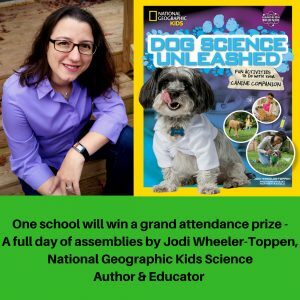 We are thrilled to be able to offer a grand prize of a full day of assemblies that connect the fun and excitement of science with the power of nonfiction writing from acclaimed National Geographic Kids science author, Jodi Wheeler-Toppen. She wrote over 20 books for “curious kids” and teachers that feature everything from imploding to edible science experiments and much more! The winning school can choose between Try This at Home (wild science demonstrations combined with an overview of career options in nonfiction writing) and Purr-fect Research is So Doggone Fun (a playful introduction to the research process, focused on the science of pets). Diane Z. Shore, award-winning author of 11 books and anthologies for young readers; Irene Latham, a highly decorated author of more than a dozen books books for children and adults; and New York Times best-selling authors Surishtha Sehgal and Kabir Sehgal. Attendees will also enjoy presentations, book signings and meet and greets with several literary art professionals. Laura Freeman, who illustrated over 20 children’s books, and Ebony Glenn an Atlanta-based illustrator who brings stories to life with whimsical imagery. Mama Koku of The Wren’s Nest will be the storyteller. 8:30AM – Sign in opens for Sandy Springs public school families to win the Grand Attendance Prize worth $1000. Review the bios of all special guest presenters HERE. SSEF especially appreciates Provost sponsor, the Couchman Noble Foundation, and Master level supporter, Northside Hospital, as well as all event supporters and donors. 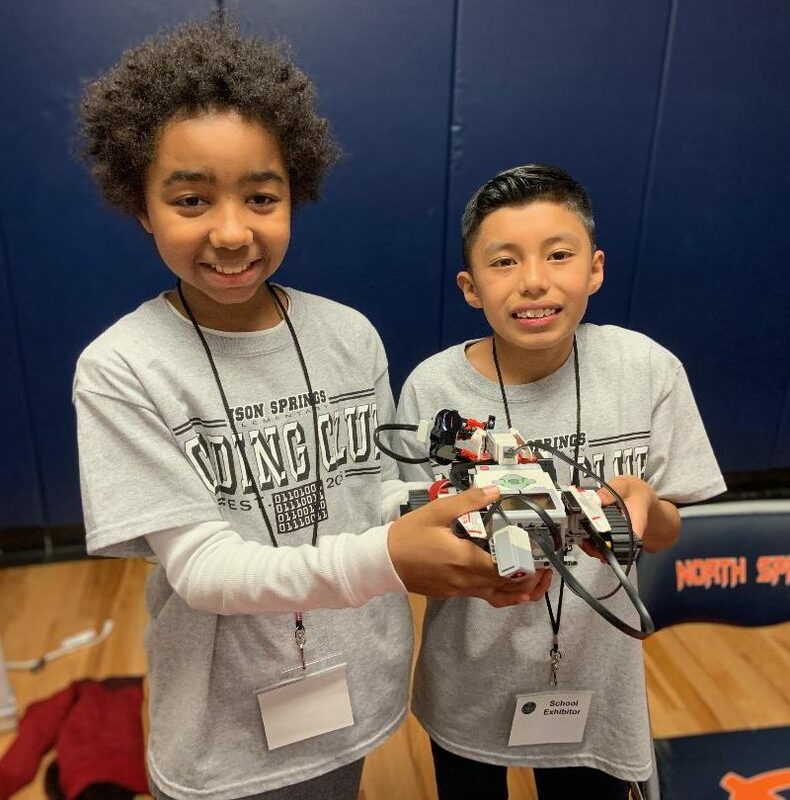 SSEF creates opportunities that educate, inspire and prepare public school students in Sandy Springs for a competitive world. Proceeds from the Footprints for the Future Race and sponsorships will be used to fund SSEF literacy initiatives in public schools in Sandy Springs. Current programs include “Reading Buddies” and “Mini Libraries.” Learn more about SSEF’s literacy programs. We look forward to seeing you on October 13th for the 5th Annual Footprints for the Future 10K & 5K and the inaugural Literacy Event. Register TODAY for the race via Active.com. Get all of the specifics about the race HERE.